The rise of the mountain's more horrible than the nuclear threat? It turns out there is more terrible than the North Korean nuclear threat, which is a force of nature. 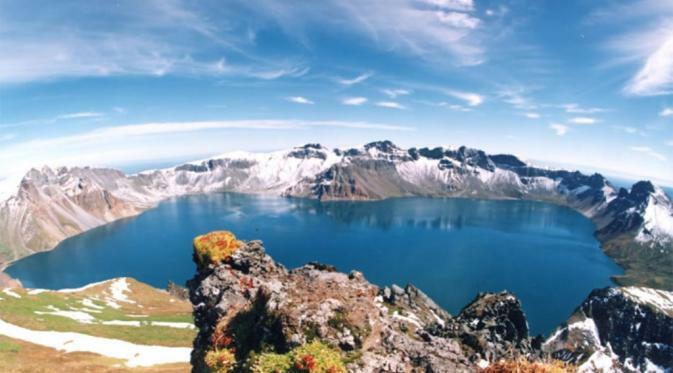 The international team is now researching Mount Paektu, which is located in the North Korean border with China. Last eruption of Mt. 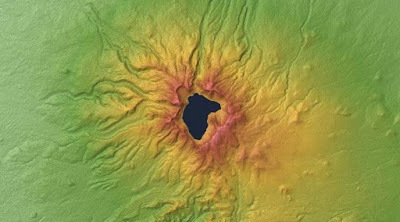 Paektu happened thousands of years ago and the second largest in recorded in the human history, after the eruption of Mt. Tambora in Indonesia in 1815. In recent years the volcano showed signs of rise. If that happens, the consequences could be catastrophic. "If until the eruption happens, the impact will be felt by Korea and China," said James Hammond, one of the scientists of University of London who involved in the study, as quoted on the New Scientist on Monday, April 18, 2016. In 946 AD, the eruption of Mt. Paektu is the highest mountain in the Korea, threw about 96 cubic kilometers of material into the sky. The number is 30 times that of a burst of material from Mt. Vesuvius that buried the city of Pompeii in 79 AD. At that time Mt. Vesuvius throws 3.3 cubic kilometers of material. Although the size and impact of the eruption is enormous, but little information is known about the mountain that is considered 'sacred'. Why is sacred? North Korean leader Kim Jong-il (Kim Jong-un's father) touted was born in the secret camp near Mt. Paektu. That said, his birth was full of the supernatural signs like appearance of bright stars, the season suddenly changed from winter to spring. The founder of North Korea, as well as lifetime president Kim Il-sung also reportedly born in the mountain. Need cooperation across the country to uncover the mystery of Mt. Paektu. The researchers of western countries was involved in the study, because the North Korean investigation team, led by Ri Kyong-song of the government’s Earthquake Administration in Pyongyang, requires access to extra scientific equipment and know-how. The China volcanologist who also monitors the mountain that they call as Changbaishan, also require information from the Korean side. Both the China and North Korea are continuing to monitor Mt. Paektu more closely since the mysterious bulge visible in and around the mountain between 2002 and 2005. The GPS study shows there are the ground deformation, increasing of emission gases, and seismic rumble. "It is a priority for both countries. 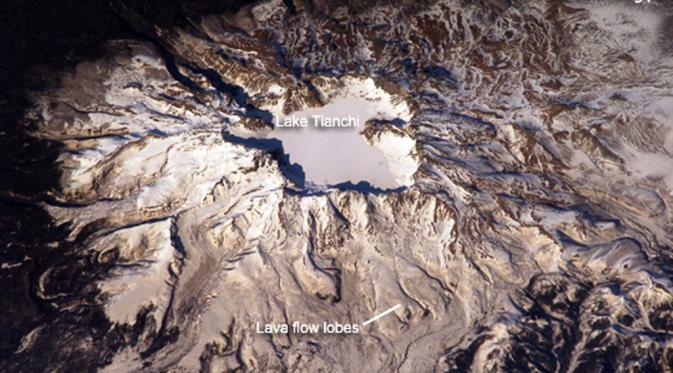 Both have volcano monitoring networks, to keep watch over Mt. Paektu," said Hammond. Hammond and other researchers from Western countries who were invited to North Korea in 2011, to install six seismometers within 60 kilometers from the mountain -- to detect seismic waves from earthquakes elsewhere in the world through the ground beneath Mt. Paektu. The seismic waves propagate at different speeds through rock solid and liquid, giving information to the scientists on related what was on the bottom of the mountain. The results show that there is a vast magma beneath the volcano. "It's a mushy mixture of rocks and crystals that melt down through the crust in the depth of about 35 kilometers," says Hammond. Yet there is no liquid magma pools that form near the surface -- which can be considered as the early symptoms of the eruption. And the researchers should continue to answer many questions about Mt. 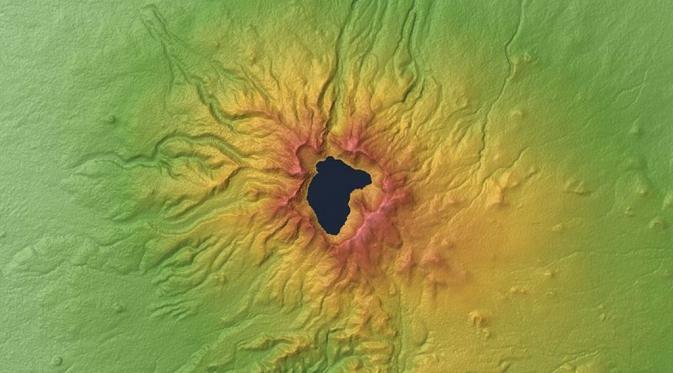 Paektu, such as where is magma pools formed, how much, and what the implications are. "When the amount of magma reached a certain point with the appropriate pressure, then the volcano may erupt," said Hammond. Until now, researchers have not been sure how much magma accumulated up to Mt. Paektu could erupt. That's why, Hammond says, the collaboration will continue for some time. "We will discuss what we will do during the next 12 months, and long-term for 5 to 10 years into the future," he said further. After many years of working together, both teams should know each other well, talking about the geology through a translator. There is no political content at all, solely to science. "There is no political element at all. We are working together to understand a huge volcano. The fact we are entering into a dialogue is a good example that science transcend political differences," said Hammond.